Spring is here and what better way to welcome it than with full blooming flowers!!! I'm completely obsessed with flowers, as they bring so much joy to my life. 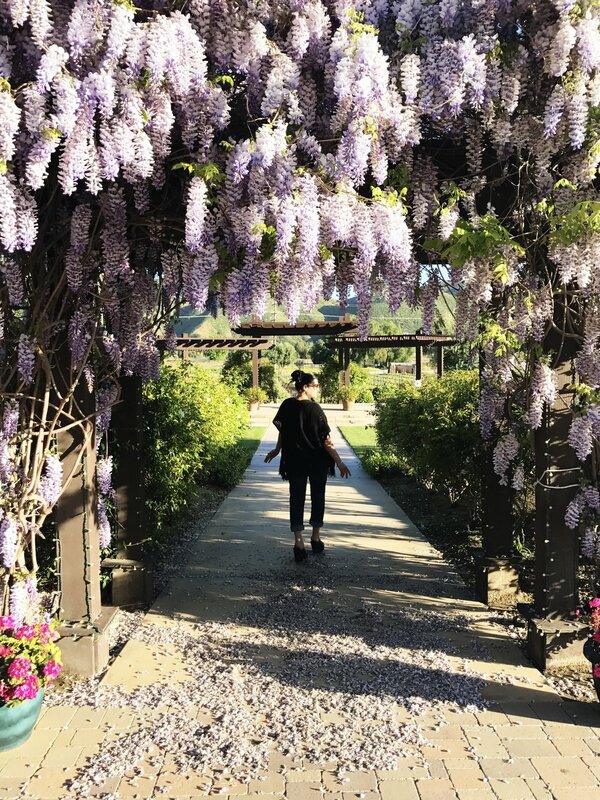 Well, if you haven’t noticed it, Wisteria Lane exists in Temecula and it’s blooming all over some wineries in Wine Country. Last year, I went around the wineries and snapped pictures of all the Wisterias that were blooming, which you can see below. Currently, the Wisterias have begun to bloom and are looking amazing. Wisterias usually last about four weeks, depending on the weather. So make sure to catch these beautiful blooming Wisterias, which make for beautiful pictures moments. With all the wonderful rain we got this year, I can’t even imagine what the Wisterias will look like in about a week! I didn't get a chance to visit all the wineries with wisterias last year, so if I missed one, please let me know in the comments below. Currently Temecula Wineries displaying Wisteria are South Coast Winery (my favorite), Miramonte, Lorimar Winery and Vineyards, and Cougar Winery. 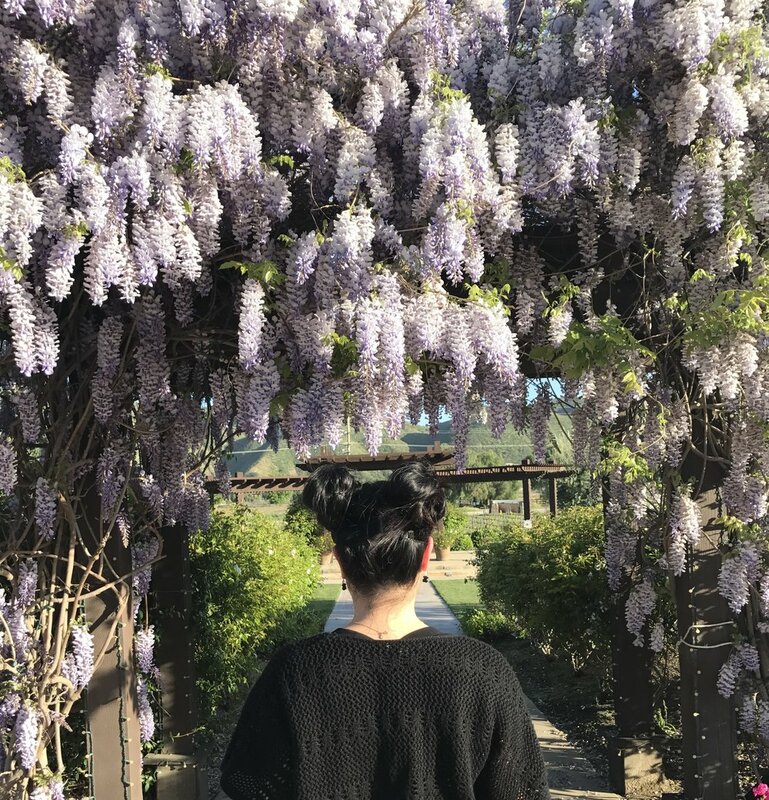 Two other wineries that I didn't get a chance to visit last year that are currently blooming beautifully with Wisteria are Peltzer Winery, (Newest edition to Temecula and the cutest winery around) and Keyways. What other wineries have blooming Wisterias? Let me know!!!! South Coast Winery has my absolute favorite blooming Wisteria Tree. As you walk up to the winery, you are welcomed by this majestic beauty. The wisteria stands tall above you as you walk through the winery, covering you in a mystical canopy for several hundred feet. Seriously you guys! Its so magical, but I'm a sucker for flowers if you haven't noticed. Nestled high on the cliff and overlooking Temecula Wine Country is Miramonte Winery. Lorimar Winery has a beautiful Wisteria tree canopy, but unfortunately, I caught it at the end of its bloom last year. You can click here to read my last post on Lorimar Winery last year. Let me know if I missed any wineries! and I hope you get out this weekend and enjoy the view. Forecast says, its sunny outside!!!!! Peltzer Pumpkin Farm & Winery a Must visit in Temecula Wine Country!